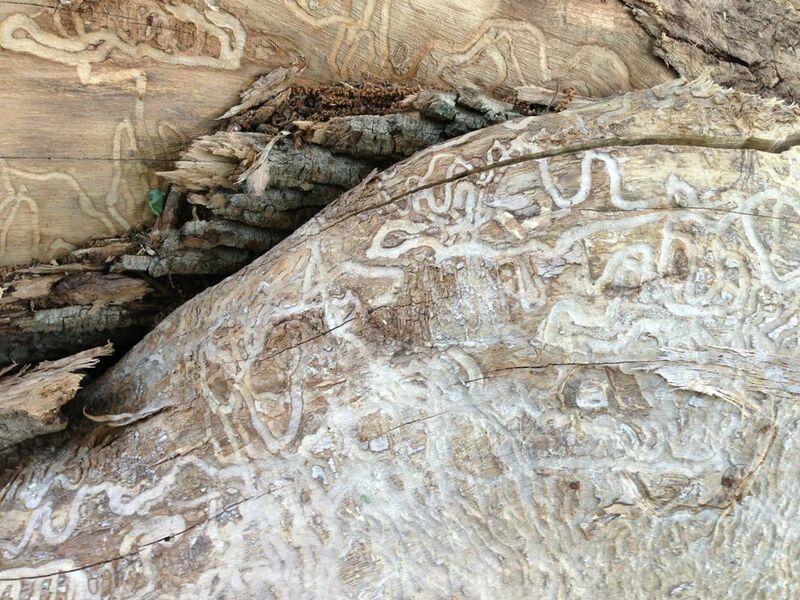 In this photo we see the trails left by insects devouring a tree. * This visual evidence of the incidental find is one place where my interest in ebrowsing and mark-making overlap. *These amazing serpentine trails are made by the larvae of emerald ash borer beetles, an incredibly destructive invasive species. As the larvae feed, they cut off nutrients to the tree.